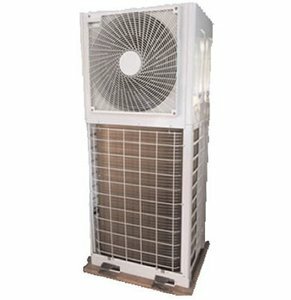 LG Multi V Space VRF is a Heat Pump system that is a single phase 4.4 ton outdoor unit which can be linked to up to 9 indoor units using a single refrigerant piping system. It uses factory designed and supplied Y-branches and headers, and has integrated controls. The LG Multi V Space Heat pump system can operate in either cooling or heating mode.